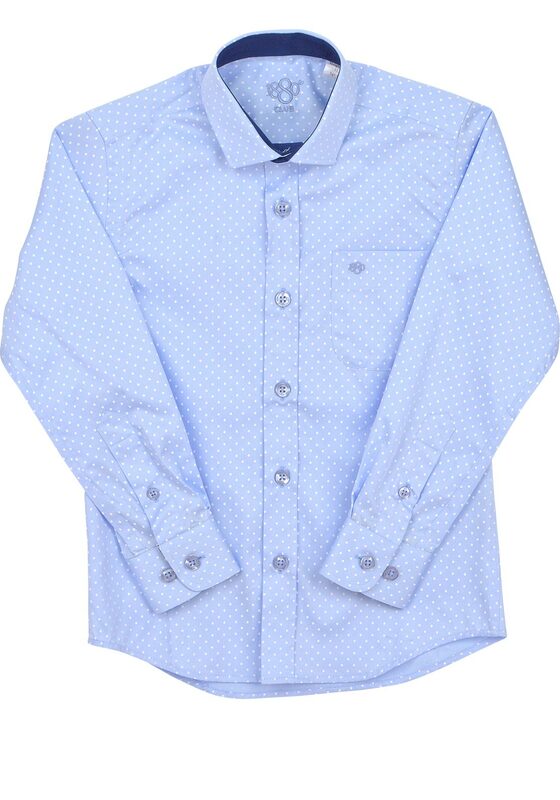 A beautiful blue and white polka dot shirt from 1880 Club that is so dressy. This stylish piece has a chest pocket with an embroidered brand logo. A gorgeous piece for a special occasion that he will love.